that last a life time. Upload directly from your feed to create works of art from your Instagram photos. Connect directly to your Facebook albums to access your photo library when ordering. 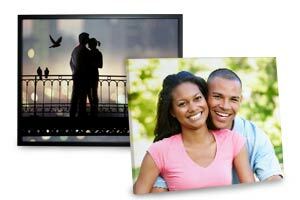 Photo prints and enlargements with unmatched fidelity created using the latest printing technology. Fine art quality prints that will last for generations. Perfect for displaying your most precious photos. In today’s digital age, we can easily capture our most cherished moments with the tap of a finger or the click of a button. Most of the time, these beloved photos remain stored on our smart phones or computers, hidden from daily view. Why not bring them to life again, and show them off on our high-quality prints, decor accessories, and more. MyPix2 offers a range of customized options that are guarantee to compliment anyone’s taste, even if you are looking for a unique gift for someone special in your life. 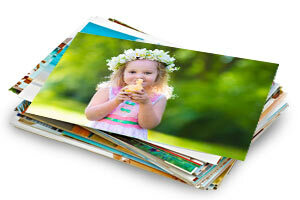 MyPix2 offers the cheapest photo prints online with a variety of custom options for any photo printing project. Whether you’re looking to add a little character to your wall decor, add photos to the family album, or share your most treasured memories at your next get-together with friends, MyPix2 has a wide selection of photo paper types and print sizes that are perfect for any occasion. Simply upload your digital pictures to get started and order high quality photos to keep your memories alive. From 4×6 to 20×30 photo prints, we have them all! Upload any image and turn it into a 16×20 photo enlargement or order wallet sized prints to share with family and friends! If you are looking for classic, high-quality prints, we have you covered. MyPix2 has a wealth of print sizes that are ideal for scrapbooking, framing or simply adding to your collection. Additionally, we offer multiple photo paper options so you can print your photos to your specifications. Placing your order is as simple as selecting your photo, picking your size and then choosing your photo paper so you can proudly display your memories for year after year of enjoyment. An all time classic, our glossy and matte photos are available in a range of sizes including wallet prints, 4×6 and even 24×36 poster prints. With our professional printing methods, your photos will look amazing with rich, bold colors, striking contrasts and sharp clarity. Print a series of 5×7 prints to add to your family scrapbook or order an 11×14 to frame in your living room for a splash of color. No matter the print size, our matte and glossy photo prints will make the perfect addition to any photo project. In addition to glossy and matte paper, we offer metallic paper prints and fine art prints which are sure to display your memories in a whole new light. Each photo paper option is available in range of sizes that are ideal for any printing project. For a full-scope view of our available photo prints, take a look at our prints comparison page to give yourself an idea of complete photo printing options so you can place the perfect order. What are metallic photo prints? Metallic photos are printed on ultra glossy photo paper and illuminate your photo’s colors and contrasts for a more life-like look. Enjoy brighter hues and a pearlescent finish to enliven your memories. Metallic prints are available in multiple sizes for any upcoming photo printing project! If you’re looking for something different than our classic prints, we offer a variety of poster prints and wall decor products that will look great using your favorite photos. Create your own photo arrangements and even add your own text for a truly personalized look. With all of our customized options, the sky’s the limit. For a unique way to showcase a favorite photo, check out our canvas poster prints. 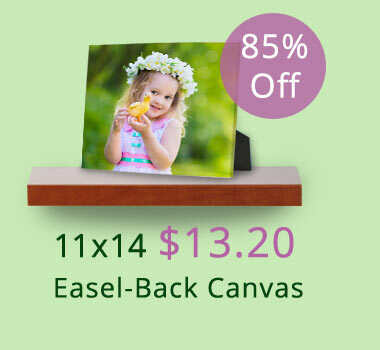 They combine the beauty of canvas with the convenience and simplicity of a photo poster. Select from a variety of sizes and even choose from portrait and landscape orientations to fit your cherished picture perfectly. For those of you that prefer a sleek modern look, our aluminum metal prints are sure to add interest to your wall decor. Ideal for HD photos or any of your other digital image masterpieces, your photos will gleam with our aluminum panel print’s glossy, lustrous surface. Hang one in your living room and instantly add a unique and colorful flair to your decor. Instead of wall decor for your home, we also offer personalized award plaques for the office. Select from a variety of background templates and embellish them with photos and your own text commemorating an important achievement. They make great gifts for family, friends, coworkers, and bosses! Just like our collage posters and photo enlargements, you can easily make a statement with our personalized banners. Jazz up any party with our paper banner or advertise your business in style with our custom roll up banners. Each of our banner styles come in variety of colored or patterned backgrounds that are ideal for business or any celebratory affair. Just add your own photos and text and create a banner masterpiece that’s sure to garner attention. In addition to posters and banners, we offer cheap canvas wall art that you can design with your own photos or scanned artwork. We offer a variety of sizes and options to compliment not only your memories but also your home decor. Using our project builder, you can design your own custom canvas in minutes and enjoy your memories displayed as elegant wall art for a lifetime. Brighten up any wall in your home with our classic wrapped canvas prints. Ranging in sizes from 5×7 to 32×48, our wrapped canvases can be hung on any wall and are available in multiple panoramic or square layouts that will show off any photo to its fullest potential. In addition to wall decor, our wrapped edge option comes in an easel back canvas style for display on any table top or shelf around the house. No matter the size or style, each canvas features gallery wrapped edges for that sophisticated look. For a more traditional look, we recommend framed canvas to give your wall decor an tried and true elegant look. Select from a variety of designer frame options including black, walnut and white to fit in perfectly with your home’s interior. If you find yourself debating between framed and gallery wrapped canvas, our floating canvas frame option combines both! 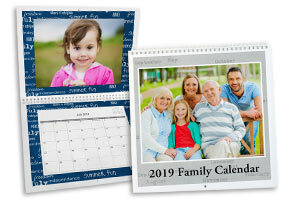 You can choose a finish and customize your canvas edges with a photo wrap or custom color! Whether you’re printing a favorite wedding memory or even a fun snapshot, they’ll instantly update any room with personality and sophistication. Who says that you have to sacrifice quality for affordability? Print on canvas cheap with our Canvas Lite option! Available in six sizes, they include an easel on the back so you can display them on a shelf, end table or night stand. If you’re looking for cheap photo canvas that has a high quality look, this is it! Have you considered making your own personalized album? Maybe you want to protect your photos from being lost in your digital shuffle. No matter the reason, our custom photo books are perfect for showcasing your favorite memories. Select from a variety of book cover options, sizes and photo arrangements to compliment any type of photo book. We offer dozens of templates that are spot-on for designing anything from a wedding album, baby book or simply a collection of your photos from the past few years. Design each page by arranging your favorite photos and add your own personalized text to describe your memories or include a favorite quote. With so many book options to select from, you are guaranteed to make the customized photo album of your dreams. Add a personal touch to any greeting, invitation or announcement using your most treasured photos. Design your own photo cards cheap and fast using your photographic favorites and a touch of creativity. We offer three different photo card options that are ideal for any holiday, life event or greeting throughout the year. Maybe you’re planning a birthday party for a friend or family member and you want to send out personalized invitations. Our glossy paper cards would make the perfect invite to send to all your guests. Upload a photo of the birthday boy or girl to your card’s layout and use our text feature to include all the party details. Simple and classic, our photo paper cards are a great choice for not only invitations but holiday greetings too. In addition to classic photo paper, our double sided cardstock printing option is quite popular! 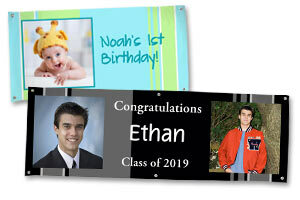 Fully customize any greeting front and back with your own personal touches. For personalized stationery and vintage style post cards, this is the card you’ve been looking for! Create cardstock Christmas cards, photo birthday invitations, or custom printed save the dates using our large selection of designer card templates. For a more formal look, we have folding photo cards which are ideal for weddings or save the date cards. Like our other cards, we offer many templates for holiday greetings, thank you notes, party invitations and much more. 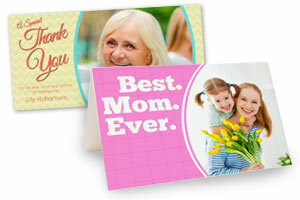 Each panel can be personalized with your own photos and text so you can create the perfect card to fit your needs. Even better, our folded photo cards are printed on heavy matte card stock for a professional look. Besides photo prints and custom canvases, we also have a range of photo gifts that will display your memories in a unique and stylish way. From home decor to accessories, you can easily add your photos to any customized product to celebrate life’s most cherished moments. Design the perfect photo gift for yourself or a loved one for the ultimate keepsake. 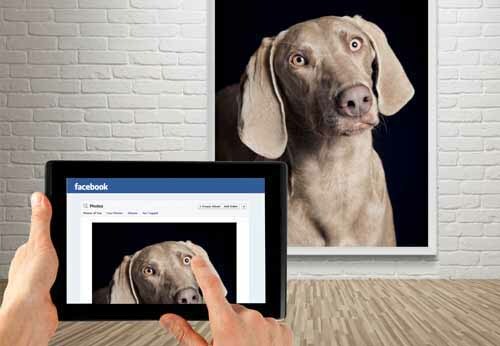 There’s no better way to celebrate your favorite photo than by displaying them in your home. With our custom home decor line you can showcase your fondest memories on a range of products and choose from a variety of templates to compliment the look of your home. Perhaps your kitchen is in need of a little color. Why not gather your favorite vacation photos and create a collage for a set of personalized photo placemats. Or make a personalized coaster set for entertaining guests in style. Our personalized dining and home decor accessories are sure to come in handy on relaxing evenings at home or your next house party. While you’re thinking of decorating your kitchen with a little personality, why not check out our collection of custom photo mugs and drink ware. Enjoy your favorite beverages with your kids’ school photos, your family holiday snapshots or a series of beloved pictures from years past. We have a variety of mug sizes and styles for your go-to drink, no matter if it’s hot or cold. Whether you’re looking for online digital photo printing or you want to create a thoughtful gift for a loved one, MyPix2 has a range of products and customized options for all of your photo printing needs. Just choose a product, upload your photos and let your creativity flow. From photo books and prints to home decor and cardstock photo Christmas cards, we have something for everyone. MyPix2 is here for all your photo printing needs, no matter the occasion! "We just received our very special prints today! This is by far the highest quality, most incredible canvas print that we have ever seen. WOW!! Thank you so much! THANK YOU FOR THE AMAZING ART. I'll be a customer for life!" "I just received the two canvas prints that I ordered and I LOVE THEM! Great Job - I will be ordering more. Thank you!!!" "I order canvas prints from MyPix2.Com whenever possible and have given them as gifts to a few friends & family. Your prints adorn my house! You're the ONLY photo printing business I suggest to anyone. Thank you for doing beautiful work! I can't wait to print more!" "MyPix2.Com has fantastic customer service. I had an inquiry about the color quality of my photos after they were printed and they responded quickly and effectively to help me understand the problem while also coming up with a solution. I'm so glad I used them for my prints!" "I just wanted to say THANK YOU! You made our favorite picture come to life on canvas. The work, quality and speedy delivery has made me want to design our whole house with your company! I LOVE MyPix2.Com!" "Just received our first order from you guys and I have to say, WOW! The quality is amazing and the pictures look GORGEOUS on the canvas!!! Thank you!"